We are the CUSTOM alternative to replacing your cabinets! and have it all blend together seamlessly! we may have the better solution! Kitchen CPR is a family-owned business based out of Rye, New Hampshire. After having a custom cabinetry business for years, we saw a need for an upscale "kitchen update" without having to build an entirely new set of cabinets when there is nothing wrong with existing cabinetry except that it's dated. We started Kitchen CPR specifically for doing these kitchen updating jobs. We're excited about helping people change their kitchen with minimum disruption to their lives, but even happier about developing a unique way of creating a custom, inset look to go over what's already there...for a lot less than custom, all-new cabinets! 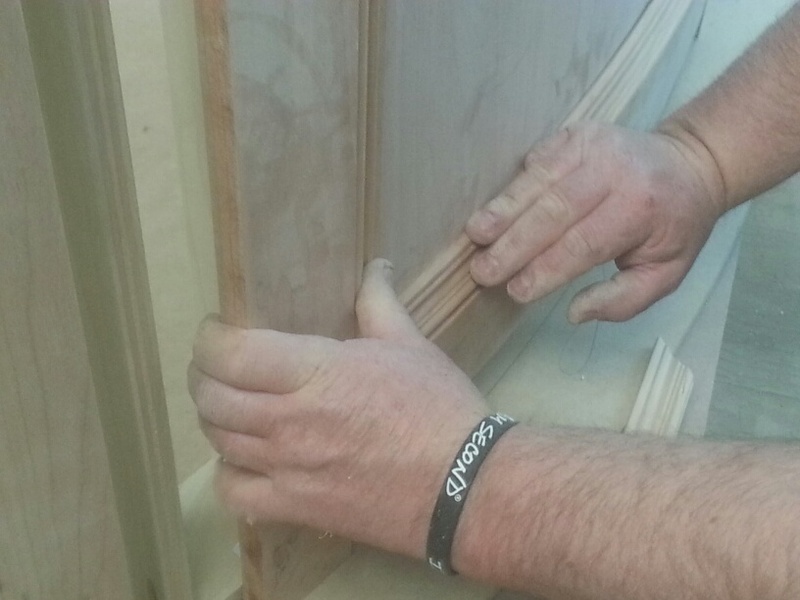 Here at Kitchen CPR, the OWNER IS A CABINETMAKER (not just a salesman in an office)! CLICK HERE to see how you can get your kitchen's makeover started. > cover the inside edges of the cabinet openings with solid wood, too! > have an owner who is a cabinetmaker!